We currently have specific funds you may wish to consider. 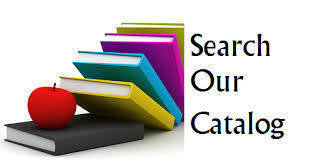 Annual Fund-This fund supports day-to-day operations including the purchase of books. Gifts and Memorial Funds-These are funds given as an outright gift in memory of or to honor an individual. Beatrice Wentworth Lever and Arts Fund was established to supports arts and literary arts programs. This remembrance of Beatrice is from Bates College archives. Beatrice was devoted to folk and early music, which she collected and played. She also had an impressive collection of traditional costumes from many countries. She went to a folk festival in Canada every year to participate in dancing and recorder workshops She graduated from Bates, and generally came back for homecoming every year. Following the 1986 death of husband Max, she moved back to Maine where she had spent vacations in Wayne. She played violin in the Androscoggin Valley and Farmington community orchestras and held chamber music concerts in her home. She attended the Maine Fiddle Camp, spent two weeks in the summer at a Canadian performing festival, traveled to London, Scandinavia, Italy and Russia, and sang in area choral groups. A member of the Unitarian Universalist congregation in Augusta, she belonged to Amigos Hispanos there, to the Wayne-Winthrop Women’s Reading Group, and to the Wayne Garden Club. Her interests ranged from country and contra dancing, to playing the recorder, to books about women, vegetarianism and social action. Capital Maintenance Fund-Monies in this fund will be expended for major repairs, construction or other related costs. Endowment Fund-This is a fund where the original amount of the gift is kept in perpetuity and invested. Earnings are used for growth of the fund and to support operations. Discretionary Investment Fund-This is a WLA Board designated unrestricted fund. The principal remains intact until designated. The Heather Black Memorial Children’s Programming Fund-Funds in this account are designated for children’s programs. The Williams House Appeal-Funds in this account are used for building improvements.